Hey ya’ll! 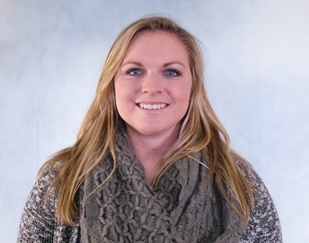 I’m Katie, and I am the Content Coordinator for the Learn section of the Clayton Website. I am a recent graduate of Maryville College with a Writing and Communications degree and minor in Graphic Design. I am also a native of Knoxville, Tenn., which is just down the road from our headquarters. I am excited to write for the blog so that I can continue learning and teaching new things about our homes. Sharing a variety of tips on everything from styling out your home to further understanding manufactured and modular housing is my bread and butter. I hope you enjoy discovering new things with us! Gutter maintenance is typically thought about in the summer and fall, but what about maintaining your gutters in the winter? Learning how to keep them protected can help you in the long run. As the cold sets in you probably want to know how to keep your home warm this winter without racking up a huge utility bill. Fortunately, there are plenty of Heating Ventilation and Air Conditioning (HVAC) tips for winter that range from routine maintenance tips, to tips for specific kinds of winter weather. There are many bathtub options for a mobile home. From drop-in soaker tubs to ceramic tile showers, every home buyer has options. Not only can you choose by style, but there are even different bathtub material options so you can make the smartest decision for you and your family. If you’re a millennial looking to buy a house for the first time, you may be thinking the process is a little overwhelming. You probably want to know how to figure out if you can afford a home and if owning a home is really more affordable than renting. According to the Manufactured Housing Instituted, in 2017, the average price of a new manufactured home without land was around $70,0001. And according to the U.S. Census Bureau, in 2015 the average price of a new manufactured home without land was $68,000 compared to the average price of a new single family site built home with land at around $360,000. One of the most fun places to create a spooky scene for Halloween is your dining room table. Whether you want to use your Halloween tablescape to spook up your home for the season or to impress Halloween party guests, do-it-yourself Halloween table decorating lets you show off your chic style and creativity. Have you wondered why mobile home styles are different? Or maybe you want to know why different manufactured home models cost different prices. The types of materials, features, upgrade options, size and other factors can affect how much a manufactured home costs. Clayton Built® manufactured homes are made with quality materials from brands you trust. Check out what brands are a part of our building process and learn what materials go into each home. Are you beginning to think that your current home no longer fits your personal style? If you’re considering buying a new, beautiful home with more space for your kids and updated features, buying a Clayton Built® modular home may be the right choice for you.